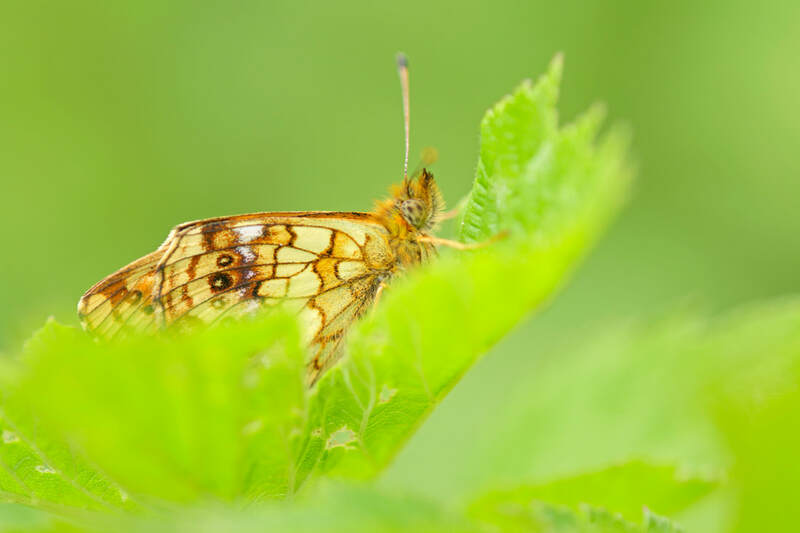 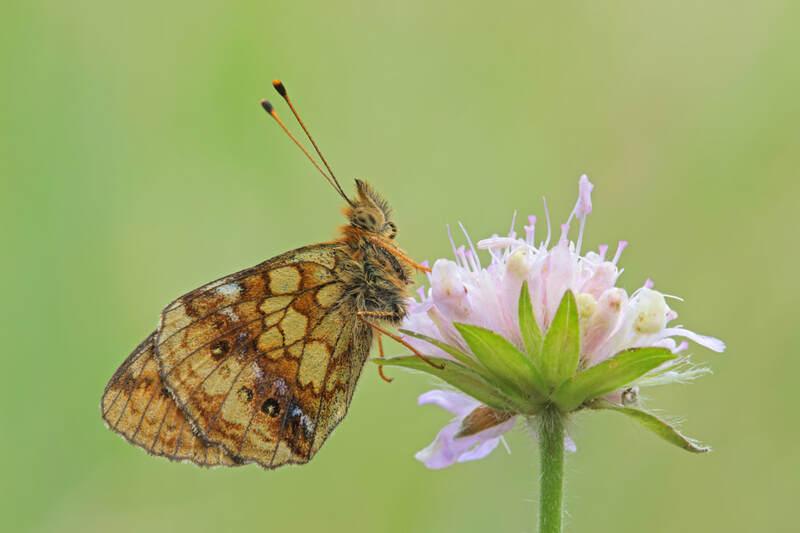 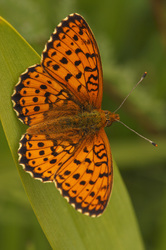 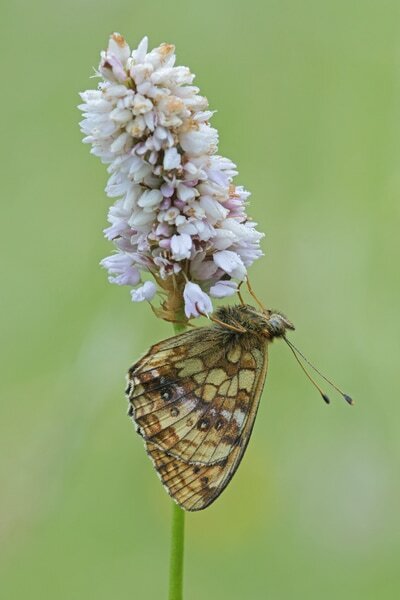 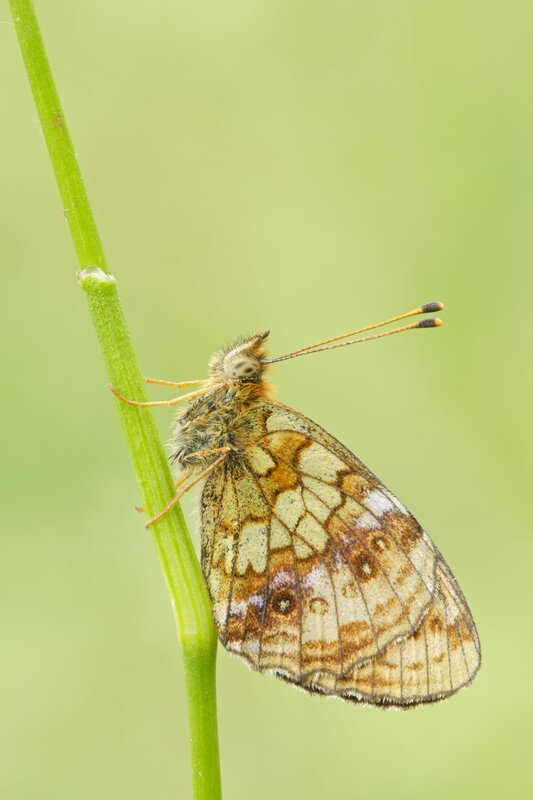 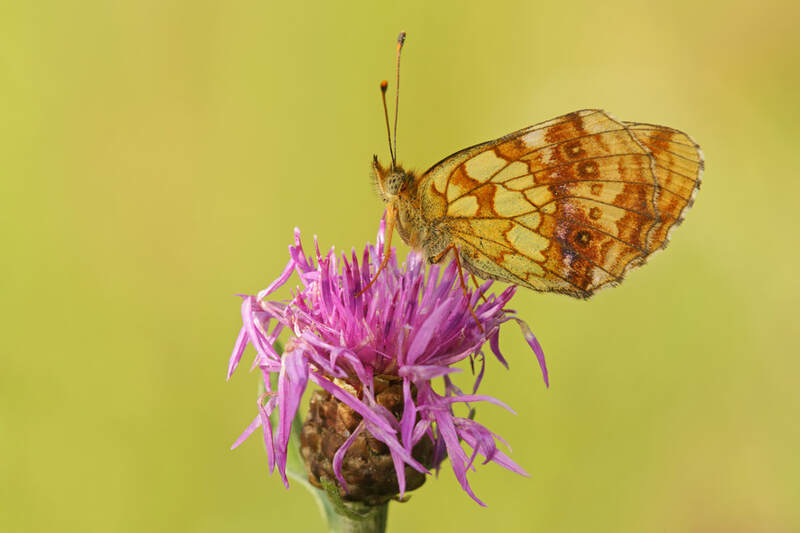 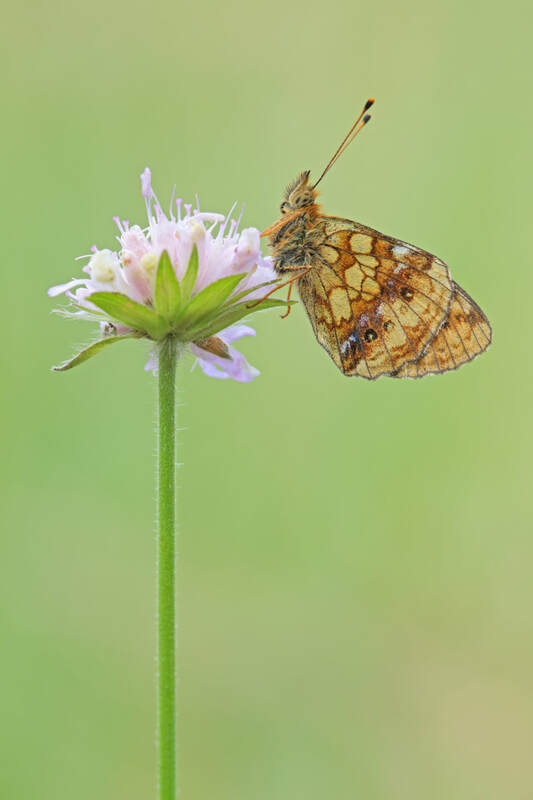 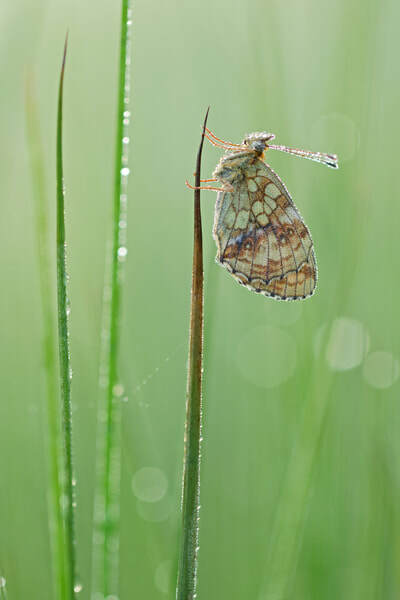 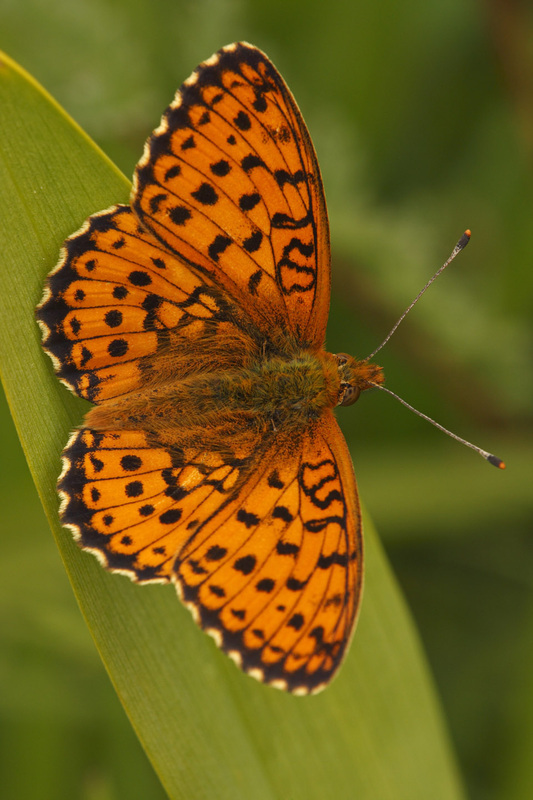 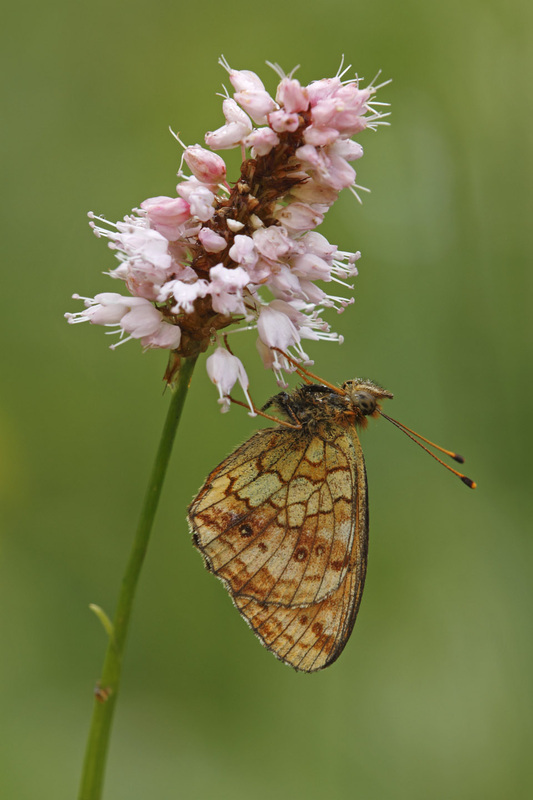 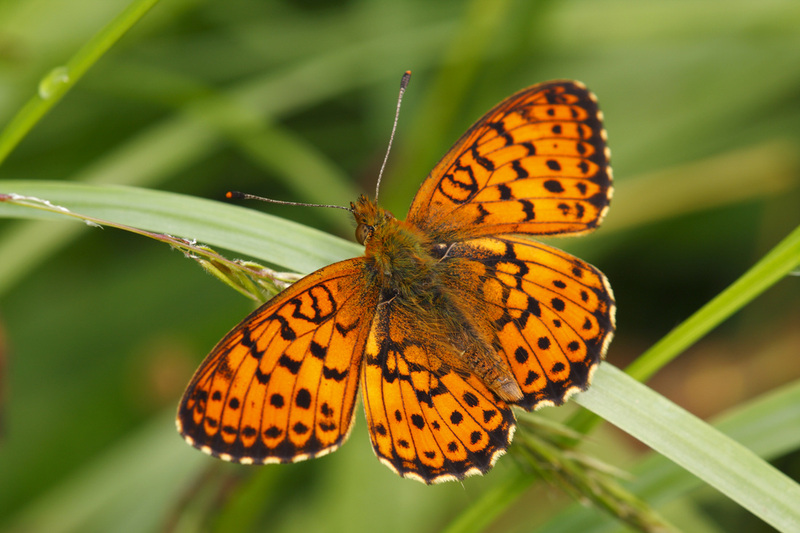 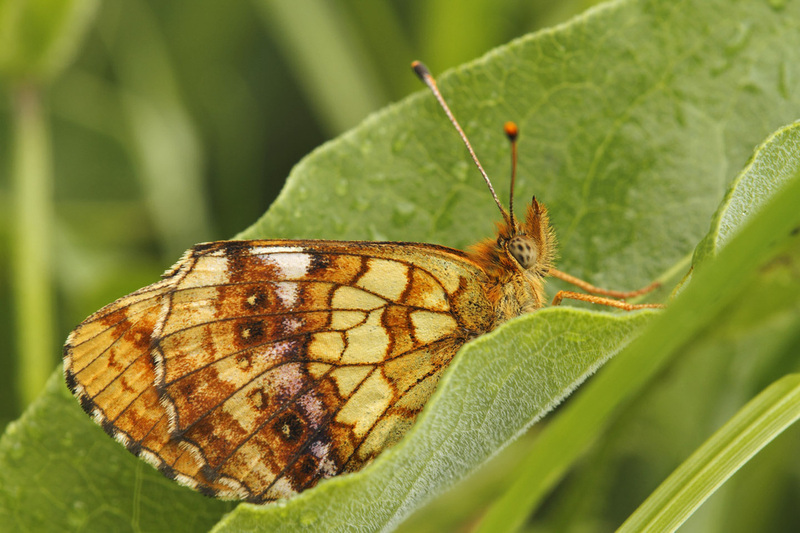 The uppersides are orange with dark spots, which tend to be more uniform in size than in the Marbled Fritillary. 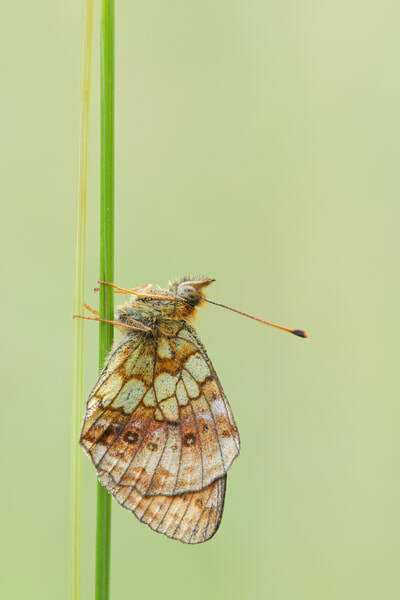 The margins are usually entirely black or dark brown, especially on the hindwing, and ther is a female form that is heavily dusted with brown scales. The underside of the forewing resembles the upperside except that it has a yellowish tip and no dark margin. The underside of the hindwing is largely yellow in the basal half, with an orange or brick-coloured band near the base surrounding a conspicuous yellow spot in space 4. 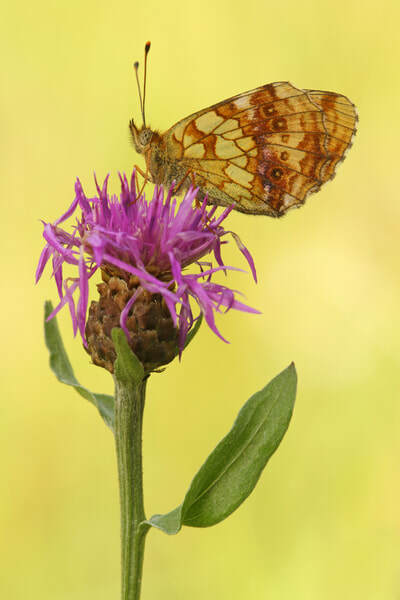 Beyond the middle, the wing is purplish brown, with paler patches and an industinct row of eye-spots. Flight from June to August in damp, flower-rich grasslands and meadows. 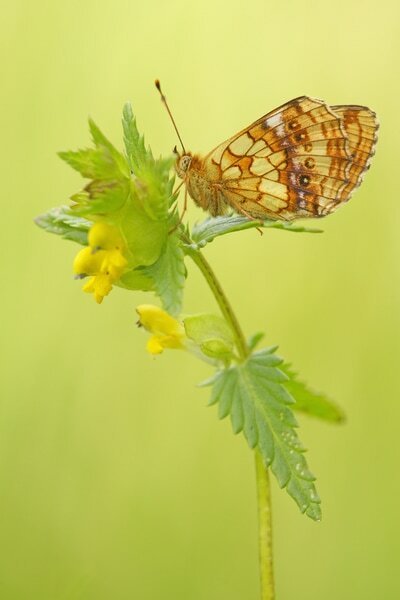 The larval foodplants include numerous rosaceous pecies, duch as Meadowsweet, Great Burnet, Cloudberry and Raspberry.